Claim your introductory offer today! In each issue, Fortean Times takes you on an incredible ride where you'll enjoy learning about the most fantastic phenomena on earth. You'll need a sense of adventure, curiosity, natural scepticism and a good sense of humour. 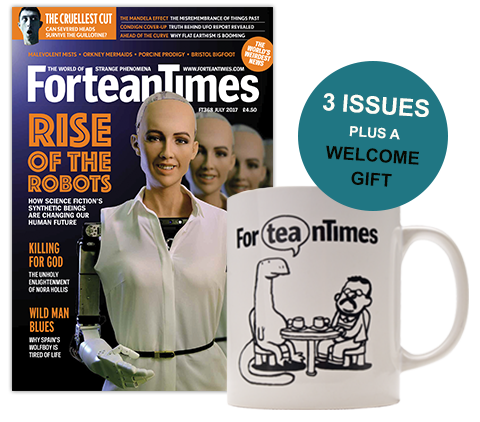 Open your mind with Fortean Times today!